Following on from our recent tips on which wine to choose while flying economy, we now pull back the curtain dividers to see how an airline chooses its Economy Class wines. Many airlines take their wine selection process seriously, and for many others, it’s an afterthought. Generally speaking, budget airlines where you have to pay for your wine tend to have innocuous offerings, whereas the major international carriers where the alcohol is given out freely is where you’ll score better quality wines. There is major competition for your flying dollar at this level, and they realise wine could be a deciding factor on which carrier you fly with. These airlines employ highly esteemed winemakers, wine writers and Masters of Wines to choose the on board selection. Being Australian, I get to fly Qantas a lot, it uses a crack team of sommeliers who work alongside airline’s head chef Neil Perry, of Rockpool restaurant fame. These aren’t just any sommeliers of course, they are headed by Sebastian Crowther, one of only two Master Sommeliers in Australia (there are only 239 in the world). As a former somm myself, I believe there’s a lot to be said for an airline that links its entire wine portfolio to the food it serves, even the better value Economy Class wines. With all airlines, the ‘celebrity’ selection panel used in press releases only has the final ‘approval’, the heavy lifting, so to speak, is done by an initial selection committee. In Qantas’ case, the economy class wine selection criteria and the man who heads it up hasn’t’ changed in 10 years. Trent Andrews is the Wine Buyer for Qantas; it’s his relationships with the wineries of Australia that has given the airline such a revered economy class wine list. I kid you not, it has served 33 different wines in economy over the past 12 months. These are vintaged wines, sourced from premium Australian wine regions, many coming from prestigious producers like Penfolds, Primo Estate and Killikinoon. Airlines like Qantas are in a very fortunate position, the buying power coupled with the prestige of being flown on the national carrier, means airlines are able to offer excellent Economy Class that bat well above their weight in the quality stakes. Producers contact Trent initially, indicating they have a wine that could be perfect for Economy Class. They’ll pass on information such as the wine’s variety, region, vintage and volume, as well as the expected per litre price. 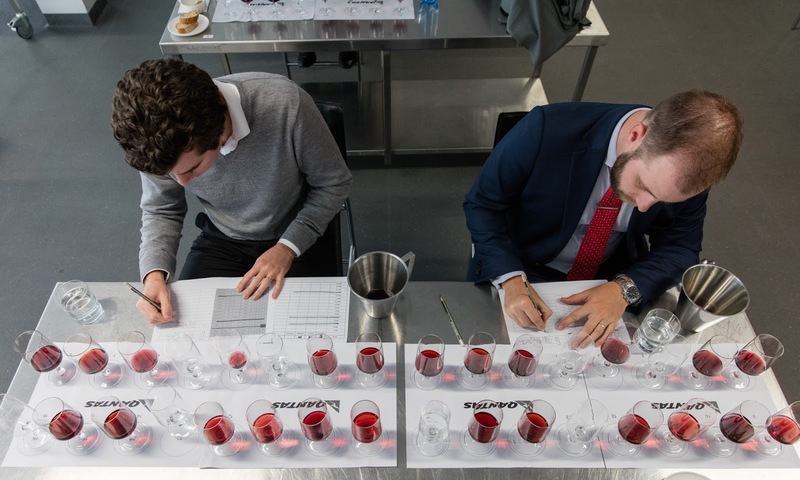 After Trent judges the wine on these merits, he requests samples from the winery, which are then forwarded to Qantas’ sommeliers for appraisal. If you don’t recognise a wine label in economy, don’t be surprised if it’s a well-known, more expensive wine that has been rebadged by the winemaker. Often this is because it’s a wine that has previously been in business class or simply a wine that they wanted to sell quickly in order to free up space in the winery’s storage facility. There is major prestige associated with being a supplier to Qantas – it’s not unusual for a winemaker to get up to 50 enquiries per month if they are on the Qantas wine list – whether it’s first, business or economy. I called in an independent panel of sommeliers to secretly taste the Economy Class wines chosen by Qantas’ Sommelier Selection panel from Rockpool. Previous The three golden rules to drinking wine while flying economy! I have started to fly quite a bit this past year and love wine having been in the business for a long time. This was great info to have. Thanks!! Nice pots but just to let you know I think Sebastien Crowther is the one on the left – with the hair! you can never be too picky! thanks for your feedback. I think it also comes down to having lots of time to kill while flying. we’ve got more time to focus on things we may not do while on the ground, like analysing wines ‘good value’ wines! I always look at wine and food while flying as entertainment. It gives me something to do on those really long flights between europe and australia! Agree with Michael – maybe something is happening to our senses. Hey Stu – how’s it going? Long time no speak! Drew Lambert. Nice post.! I am loved video in post. Wow … more complex than I imagined. Thanks. yes it is – a lot rides on these decisions! Great article by the Wine Wankers on economy flights wine choices. Really insightful and well researched. Loved it! Great article on wine choices on airlines. As a frequent flyer on Qantas I totally support everything here. Keep it up, brilliant blog. Reblogged this on AJEET SHARMA. Just came across this post – brilliant research and information. Cheers guys! thanks for that – we worked hard on this one!